Definition at line 193 of file d3dx9mesh.h. Definition at line 195 of file d3dx9mesh.h. 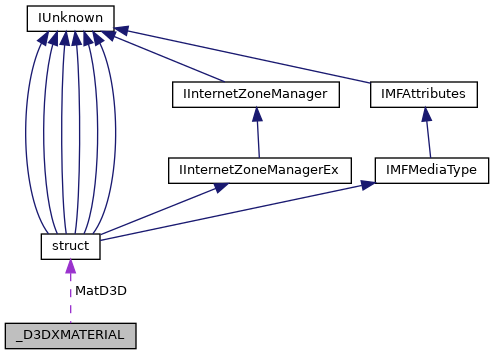 Referenced by D3DXLoadMeshFromXInMemory(), and parse_material(). Definition at line 196 of file d3dx9mesh.h. Referenced by D3DXLoadMeshFromXInMemory(), D3DXLoadSkinMeshFromXof(), destroy_materials(), generate_effects(), and parse_material().